The Louvre Museum (French: Musée du Louvre) in Paris, France, is one of the oldest, largest, and most famous art galleries and museums in the world. The Louvre has a long history of artistic and historic conservation, inaugurated in the Capetian dynasty (c. 1000) until today. The building was previously a royal palace and holds some of the world's most famous works of art, such as Leonardo da Vinci's Mona Lisa, Delacroix's Liberty Leading the People, and Alexandros of Antioch's Venus de Milo. The first royal "Castle of the Louvre" was established in Paris by Philip Augustus in 1190. The first building in the existing Louvre was begun in 1535 on the grounds of the old castle, and designed by architect Pierre Lescot in the style of the Renaissance. 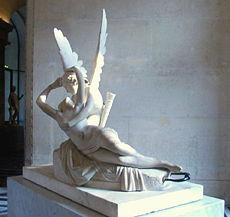 Kings Henry IV and Louis XIII added wings to the Louvre as did Napoleon III. In the late 1980s, the Louvre underwent considerable renovation and expansion. In 1984, Chinese-American architect Ieoh Ming Pei unveiled his plans that included a glass pyramid in the central courtyard that would serve as the museum's main entrance. The Louvre houses 35,000 works of art displayed in eight curatorial departments: Near Eastern Antiquities; Islamic Art; Paintings; Egyptian Antiquities; Sculptures; Prints and Drawings; Greek, Etruscan, and Roman Antiquities; and Decorative Arts. 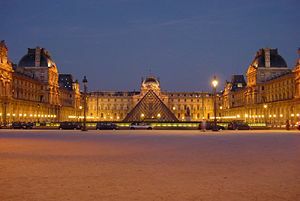 With a record 8.3 million visitors in 2006, the Louvre is the most-visited art museum in the world. 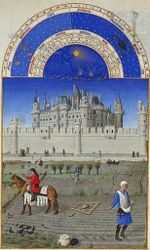 Castle of the Louvre in the fifteenth century. 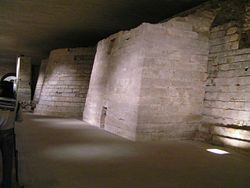 Remains of the original, medieval foundations can still be seen underneath the museum. The first royal "Castle of the Louvre" was founded in what was then the western edge of Paris by Philip Augustus in 1190, as a fortified royal palace to defend Paris on its west against Viking attacks. The first building in the existing Louvre was begun in 1535, after demolition of the old castle. The architect Pierre Lescot introduced to Paris the new design vocabulary of the Renaissance, which had been developed in the châteaux of the Loire. During his reign (1589–1610), King Henry IV added the Grande Galerie. Henry IV, a promoter of the arts, invited hundreds of artists and craftsmen to live and work on the building's lower floors. This huge addition was built along the bank of the River Seine and at the time was the longest edifice of its kind in the world. Louis XIII (1610–1643) completed the Denon Wing, which had been started by Catherine Medici in 1560. Today, it has been renovated as a part of the Grand Louvre Renovation Program. The Richelieu Wing was also built by Louis XIII. It was part of the Ministry of Economy of France, which took up most of the north wing of the palace. The ministry was moved and the wing was renovated and turned into magnificent galleries that were inaugurated in 1993, the two-hundredth anniversary of parts of the building first being opened to the public as a museum on November 8, 1793, during the French Revolution. Napoleon I built the Arc de Triomphe du Carrousel (Triumph Arch) in 1805 to commemorate his victories and the Jardin du Carrousel. In those times this garden was the entrance to the Palais des Tuileries. Napoleon III added the new wing of 1852–1857, designed by architects Visconti and Hector Lefuel, representing the Second Empire's version of Neo-baroque, full of detail and laden with sculpture. Work on this wing continued until 1876. However, during the uprising of the Paris Commune in 1871, the Tuileries was burned. Paradoxically, the disappearance of the gardens, which had originally brought about the extension of the Louvre, opened the admirable perspective that now stretches from the Arc du Carrousel west through the Tuileries and the Place de la Concorde to the Place Charles de Gaulle. In the late 1980s, the Louvre embarked upon an aggressive program of renovation and expansion when the first plans by the Chinese-American architect Ieoh Ming Pei were unveiled in 1984, which included a glass pyramid in the central courtyard that would serve as the museum's main entrance. The Louvre Pyramid was commissioned by then-French president François Mitterrand and was inaugurated in 1989. The pyramid covers the Louvre entresol and forms part of the new entrance into the museum. In November 1993, to mark its two-hundredth anniversary, the museum unveiled the Richelieu Wing in the quarters that had been vacated, grudgingly, by the Ministry of Finance in 1989. This expansion, which completed the museum's occupancy of the palace complex, added 230,000 square feet to the existing 325,000 square feet of exhibition space, and allowed it to put an additional 12,000 works of art on display in 165 new rooms. 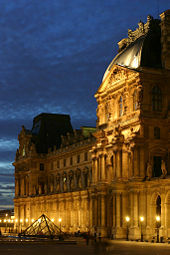 Since many of the works in the Louvre are viewed only in distinct departments—for example, French Painting, Near Eastern Art, or Sculpture—established some 200 years ago, it was decided that a satellite building would be created outside of Paris, to experiment with other museological displays and to allow for a larger visitorship outside the confines of the Paris Palace. The project's completion is planned for late 2010; the building will be capable of receiving between 500 and 600 major works, with a core gallery dedicated to the human figure over several millennia. Sourced from the Louvre's core holdings, and not from long-lost or stored works in the basement of the Louvre, as widely thought, the new satellite will display works side-by-side, cross-referenced and juxtaposed from all periods and cultures, creating an entirely new experience for the museum visitor. In March 2007, the Louvre announced that a Louvre museum would be completed by 2012 in Abu Dhabi, United Arab Emirates. The 30-year agreement, signed by French Culture Minister Renaud Donnedieu de Vabres and Sheik Sultan bin Tahnoon Al Nahyan, will prompt the construction of a Louvre museum in downtown Abu Dhabi in exchange for $1.3 billion. It has been noted that the museum will showcase work from multiple French museums, including the Louvre, the Georges Pompidou Center, the Musee d'Orsay, and Versailles. 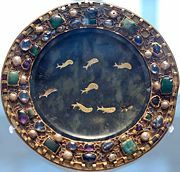 However, Donnedieu de Vabres stated at the announcement that the Paris Louvre would not sell any of its 35,000-piece collection currently on display. 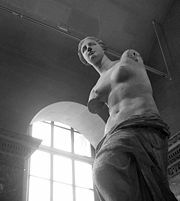 The Louvre's collections number over 380,000 objects: though not one of world's largest collections, certainly one of the finest. The hallmark of the museum's collection is its 11,900 paintings (6,000 on permanent display and 5,900 in deposit), representing the second-largest holding of Western pictorial art in the world, after the Hermitage, Russia. There are large holdings from such artists as Fragonard, Rembrandt, Rubens, Titian, Van Dyck, Poussin, and David. 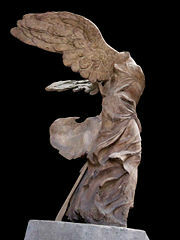 Among the well-known sculptures in the collection are the Winged Victory of Samothrace and the Venus de Milo. 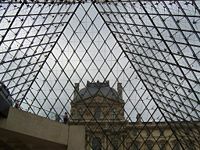 Besides art, the Louvre displays a host of other exhibits, including archaeology, sculptures, and objet d'art. The permanent galleries showcase large holdings of furniture, whose most spectacular item was the Bureau du Roi, completed by Jean Henri Riesener in the eighteenth century, now returned to the Palace of Versailles. The Louvre's collection covers Western art from the medieval period to 1848, formative works from the civilizations of the ancient world, and works of Islamic art. The collection is grouped into eight departments, each shaped and defined by the activities of its curators, collectors, and donors. The Department of Near Eastern Antiquities is devoted to the ancient civilizations of the Near East and encompasses a period that extends from the first settlements, which appeared more than 10,000 years ago, to the advent of Islam. 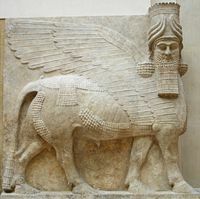 The first archaeological excavations in the mid-nineteenth century unearthed lost civilizations, and their art was rightly considered to be among humanity's greatest creative achievements. The Department of Near Eastern Antiquities—the youngest of the Louvre's departments up until the recent creation of the Department of Islamic Art—was established in 1881. The archaeological collections were essentially formed during the nineteenth century and in the twentieth century up until World War II. Rivaled only by the British Museum and the Vorderasiatisches Museum in Berlin, this collection offers a comprehensive overview of these different civilizations, drawing on scientific excavations conducted on numerous archaeological sites. The first of these excavations took place between 1843 and 1854 in Khorsabad, a city constructed by King Sargon II of Assyria in the eighth century B.C.E. This site brought to light the Assyrians and lost civilizations of the Near East. One of the aims of the Louvre, which played a leading role in this rediscovery, is to reveal the depth of the region’s cultural roots and its enduring values. 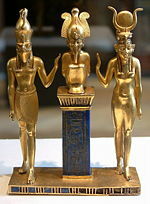 Isis and Horus with Osorkon II. Gold, lapis, and red glass, 874–850 B.C.E. The Department of Greek, Etruscan, and Roman Antiquities oversees works from the Greek, Etruscan, and Roman civilizations, illustrating the art of a vast area that encompasses Greece, Italy, and the whole of the Mediterranean basin, spanning a period that stretches from Neolithic times (fourth millennium B.C.E.) to the sixth century C.E. 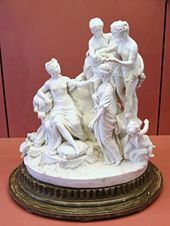 The nucleus of the Greek, Roman, and Etruscan antiquities came from the former royal collections, enriched by property seized during the French Revolution. The Venus de Milo, presented to Louis XVIII by the Marquis de Rivière in 1821, further enhanced the collection. The antiquities section was enriched during the nineteenth century by contributions from archaeological expeditions, notably fragments of the temple at Olympia (a gift from the Greek Senate in 1829), ancient reliefs from Assos (presented by Sultan Mahmoud II), and the frieze from the Temple of Artemis at Magnesia ad Maeandrum (Texier excavation, 1842). The Winged Victory of Samothrace, discovered by Champoiseau in 1863, was installed at the top of the Daru staircase, on a ship's prow brought back in 1883. 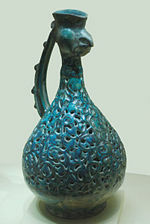 The Department of Islamic Art displays over 1,000 works, most of which were intended for the court of a wealthy elite. They span 1,300 years of history and three continents, reflecting the creativity and diversity of inspiration in Islamic countries. The rooms devoted to "modern" sculpture, opened in 1824, gradually became the Department of Medieval, Renaissance, and Modern Sculpture. Separate collections were founded in 1848 for antiquities and in 1893 for objets d'art. When the Muséum Central des Arts opened in 1793, little modern sculpture was on display. Among the few works that went on show were Michelangelo's Slaves, confiscated from émigrés in 1794, and a few busts by artists like Raphael and Carracci. There were also commissioned busts of artists, displayed alongside the painting collections, and above all copies of works from antiquity, including numerous bronze busts. After the French Revolution, when the Musée des Monuments Français was closed, some of its finest works were transferred to the Louvre. The Department of Decorative Arts presents a highly varied range of objects, including jewelry, tapestries, ivories, bronzes, ceramics, and furniture. 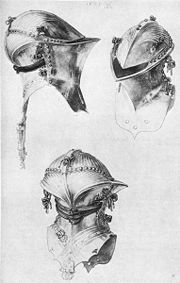 The collection extends from the Middle Ages to the first half of the nineteenth century. The decree issued by the convention at the founding of the Muséum Central des Arts on July 27, 1793, stipulated that the exhibits would include objets d’art. The nucleus of the display was formed by furniture and objects from the former royal collection. Small bronzes and gems joined the collection a little later, in 1796. The department was subsequently enriched by two important treasures, from the Sainte Chapelle on the nearby Ile de la Cité and the abbey of Saint-Denis to the north of Paris (including Abbot Suger's collection of vases and the coronation regalia of the kings of France). The collections were further supplemented thanks to the decree of Germinal 1 year II (March 21, 1794), authorizing the museum to confiscate property belonging to émigré aristocrats who had fled abroad to escape the Revolution. Henriette Delacroix, elder sister of Eugène Delacroix, 1798–1799. The Department of Paintings reflects the encyclopedic scope of the Louvre, encompassing every European school from the thirteenth century to 1848. The collection is overseen by 12 curators, who are among the most renowned experts in their field. The Louvre painting collections examine European painting in the period from the mid-thirteenth century (late medieval) to the middle of the nineteenth century. Later period paintings like Picasso and Renoir are not found at the Louvre. The paintings are divided into three main groups, The French School, the Italian (Da Vinci, Raphael, and Boticelli) and the Spanish Schools (Goya), and Northern Europe, English, German, Dutch, and Flemish Schools. Among the fifteenth-century masterpieces in the collection are: Saint Francis of Assisi Receives the Stigmata, Giotto (about 1290–1300); The Madonna and Christ Child Enthroned with Angels, Cimbue (about 1270); Ship of Fools, Hieronymus Bosch (1490–1500); The Virgin with Chancellor Rolin, Jan van Eyck (about 1435), seized in the French Revolution (1796); Portrait de Charles VII, Jean Fouquet (1445–1448); The Condottiero, Antonello da Messina (1475); St. Sebastian, Andrea Mantegna (1480); and Self-Portrait with Flowers, Albrecht Dürer (1493). 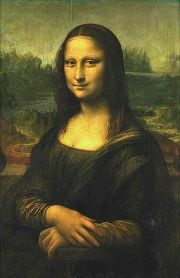 The museum's most popular work is the sixteenth-century Mona Lisa of Leonardo da Vinci (1503–1506), acquired by Francis I in 1519. Other works from this century include: The Virgin and Child with St. Anne, Leonardo da Vinci (1508); The Virgin and Child with Saint John the Baptist, called La belle jardinière, Raphael (1508); Portrait of Balthazar Castiglione, Raphael (about 1515); and The Wedding at Cana, Paolo Veronese (1562–1563). 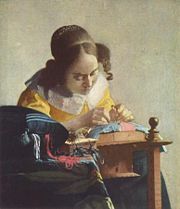 Seventeenth-century works include: The Lacemaker, Johannes Vermeer, (1669–1670); Vermeer's famous Milkmaid (circa 1658); Et in Arcadia ego, Nicolas Poussin (1637–1638); The Pilgrims of Emmaus, Rembrandt (1648), seized in the French Revolution in 1793; Saint Joseph charpentier, Georges de la Tour (1642); The Club Foot, Jusepe de Ribera (1642); Le young mendicant, Murillo (about 1650), bought by Louis XVI about 1782; Bathsheba at Her Bath, Rembrandt (1654); and Ex Voto, Philippe de Champaigne (1662), seized in the French Revolution in 1793. Eighteenth-century works include: The Embarkation for Cythera, Antoine Watteau (1717); Portrait of Louis XIV, Hyacinthe Rigaud (1701); La Raie, Jean-Baptiste-Siméon Chardin (before 1728); Oath of the Horatii, Jacques-Louis David (1784); and Master Hare, Joshua Reynolds (1788–1789). Among the nineteen-century works are: The Turkish Bath, Ingres (1862); The Raft of the Medusa, Théodore Géricault (1819); Liberty Leading the People, Eugène Delacroix (1830); and Bonaparte visitant les pestiférés de Jaffa, Antoine-Jean Gros (1804). One of the Louvre's eight departments is devoted to the museum's extraordinary collection of works on paper, which include prints, drawings, pastels, and miniatures. These fragile works feature in temporary exhibitions and can also be viewed privately by arrangement. 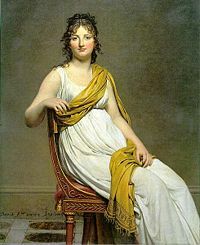 The Louvre's first exhibition of drawings featured 415 works and took place in the Galerie d'Apollon at 28 Thermidor of the year V (August 15, 1797). This initial collection was subsequently enriched with drawings by the first royal painters (Le Brun, Mignard, and Coypel) and works from the collection of P.-J. Mariette. Further works were seized during military campaigns (the collection of the dukes of Modena), from the Church, and from émigré aristocrats (Saint-Morys and the comte d'Orsay). The department continued to grow, notably with the acquisition in 1806 of four collections comprising nearly 1,200 drawings amassed during the seventeenth century by Filippo Baldinucci, an adviser to Leopoldo de' Medici. The collection of Prints and Drawings were significantly supplemented with the donation of Baron Edmond de Rothschild’s (1845–1934) collection in 1935, containing more than 40,000 engravings, nearly 3,000 drawings, and 500 illustrated books. All links retrieved August 2, 2018. This page was last modified on 2 August 2018, at 15:27.